Lately eBay seems to be somewhat redeveloping itselfs, like many of us businesses know Christmas is just around the corner, and its time to begin making the most of the upcoming festive season, so with a change in layout and format, a new, modern logo, and TV advertisements you can be sure that more people than ever are going to be turning to eBay for those bargain christmas goods! As a seller on eBay I know that it’s important to read up on the latest news and information within my market place, afterall eBay to an online seller is like a shop to a marketplace seller, and to take advantage of what your market place has to offer is never a bad idea! You can get the latest news straight from the horses mouth through eBay’s Business Seller News and here’s what eBay had to tell us in Autumn 2012. There are over 100 million buyers available outside of the United Kingdom, with just 14 million unique users inside the UK making your listings internationals makes your items available to view to almost 8 times the number of people. By setting an international posting service your item automatically becomes viewable to those international buyers. 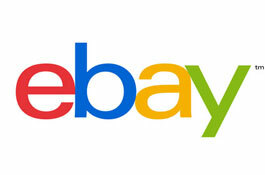 eBay is making this international postage specification even easier from September 2012, giving you the option to vary your prices depending on where you are posting the item, ensuring you are never out of pocket when posting your item abroad. This international market is something which eBay are continuing to work with promising more changes and updates within an international market to eBay UK customers coming in 2013. The buyer made unreasonable demands. The buyer left inappropriate Feedback. The buyer abused the eBay Buyer Protection process. You can easily report a buyer at a number of clearly signposted points, including where you leave Feedback for the buyer. You’ll be able to report a buyer up to 90 days after a transaction. Select the transaction you want to report as well as your reason for reporting the buyer. Next, you’ll have the option of writing a report, including as many details as you like. For example, you might want to include screenshots or copies of emails between you and the buyer. When your report has been submitted, we’ll notify you by email that it is being processed. The middleman doesn’t stand a chcnae on Ebay now! How can you drop ship through companies like Doba without being able to purchase the products for the customer’s whom you are selling too without getting payment? And for new ebay sellers using paypal, you are limited to withdraw $500 per month. WOW now you’re making the big bucks! Hope you can keep the lights and gas on with all that sales money limitation, lol! « Wholesale Clearance UK’s Monthly Newsletter!